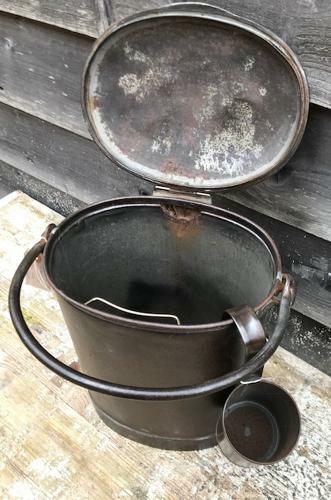 Antique Dairy Delivery size Cream Can with brass hinge and front lip fittings. This size would have been carried round the streets and the measuring ladles could hang from the lip. passers by would then buy specific amounts of milk or cream baled out into their own vessil. Once empty the ladles could hang from the brass wire on the inside of the can.